Update: It was revealed another factor behind the triple header was avoiding a clash with next year’s World Cup final. 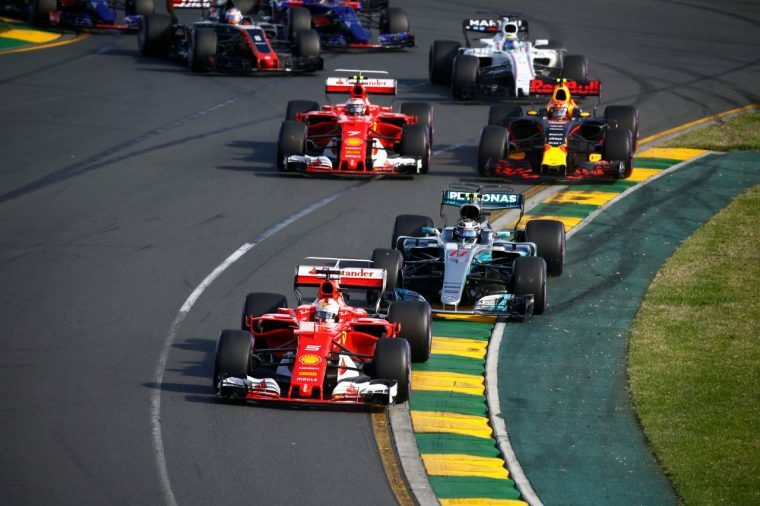 The provisional calendar for the 2018 Formula One season has been revealed, which includes the sport’s first triple header, with the French Grand Prix, Austrian Grand Prix, and British Grand Prix all taking place on back-to-back weekends. 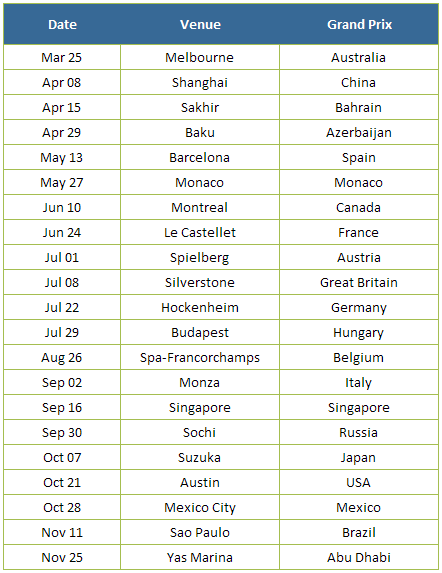 This will put the teams under even greater stress than normal as they travel around the world during a season that will be tied for the longest in Formula One history, with 21 races squeezed on the calendar between the opener on March 25 and the finale exactly eight months later. The triple header is a necessary evil (for the teams—I expect the fans will rather enjoy getting to watch F1 three weekends back-to-back) rather than an intended feature. The FIA will not schedule a Formula One Grand Prix during the same weekend as the 24 Hours of Le Mans as part of an agreement with the ACO; at the same time, the teams get a one-month break in the middle of the summer, which makes scheduling 21 races across 34 available weekends without running into a triple header a nigh mathematical impossibility. Though it’ll be stressful for team members who already struggle to spend time with their families, it ought to work out quite nicely for motorsports fans, especially those who find themselves in France during the month of June, as they’ll be able to catch the 24 Hours of Le Mans on the weekend of the 17th and then drive down to Le Castellet for the French Grand Prix just seven days later. Buying or Leasing: What’s the difference? Kurt Verlin was born in France and lives in the United States. Throughout his life he was always told French was the language of romance, but it was English he fell in love with. He likes cats, music, cars, 30 Rock, Formula 1, and pretending to be a race car driver in simulators; but most of all, he just likes to write about it all. See more articles by Kurt.